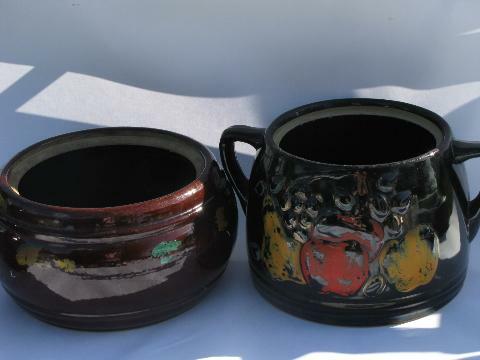 Two old crock cookie jars without lids, 1940s or 50s vintage. 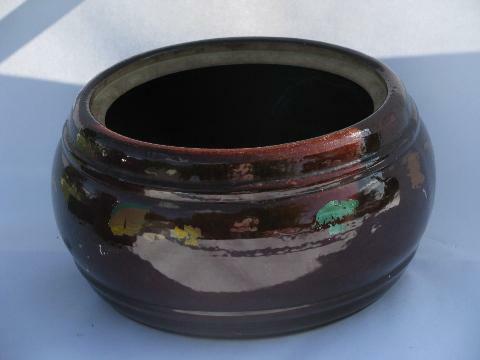 The short fat brown crock (8" in diameter) we believe is Red Wing pottery? The taller one (5 1/2" tall) may be Ransburg? 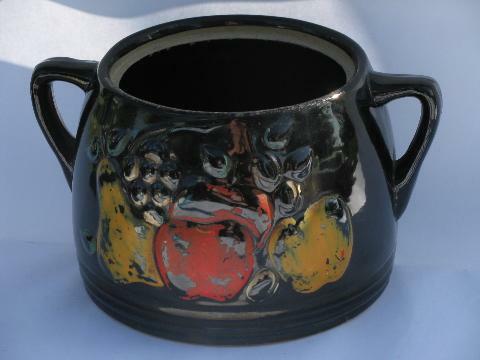 Neither is marked, and both have considerable wear to the painted decoration, though no chips or cracks.